University of North Georgia women’s basketball sophomore, Julianne Sutton, was named the Peach Belt Conference Player of the Week Monday afternoon. In two games, Sutton averaged 19.5 points and 16.0 rebounds while shooting a 69% from the field. Sutton also scored 14 with 16 rebounds agains Lander, scoring 25 with another 16 against Georgia Southwestern. Sutton is currently fifth in the PBC in rebounding, second in blocks, third in field goal percentage and 12th in scoring. 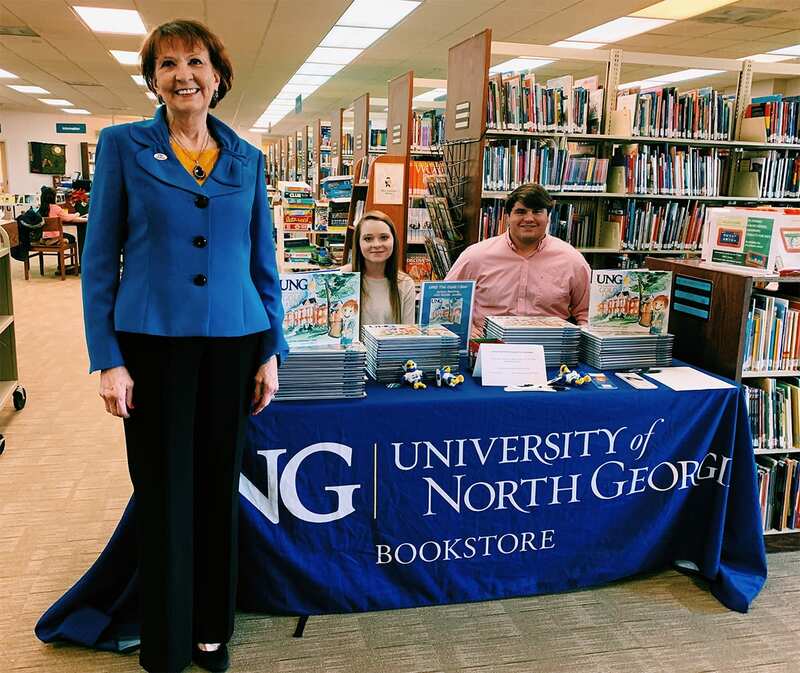 University of North Georgia President, Dr. Bonita Jacobs, visited the Lumpkin County Library for a book reading/signing of her new book, “UNG The Gold I See!” on Thursday. 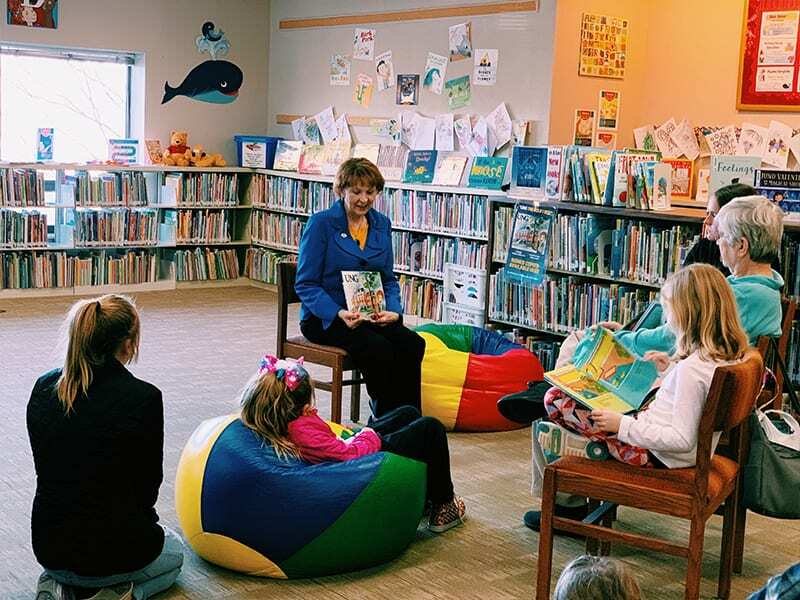 The children’s book is one of five that will be released by Dr. Jacobs and the UNG Press. Dr. Jacobs told FYN that she was inspired to write the children’s books after she was gifted a copy of Barbara Walsh’s “The Poppy Lady.” “I loved the idea of using a children’s book to tell the history of North Georgia.” She also explains that the “genesis” of the book was to raise money for scholarships, “I’m very passionate about scholarships.” Dr. Jacobs explained, “and all profits from my books go straight to scholarship funds.” Jillian Murphy, Assistant Managing Editor with UNG Press added the book has sold enough copies to fund a few scholarships already. 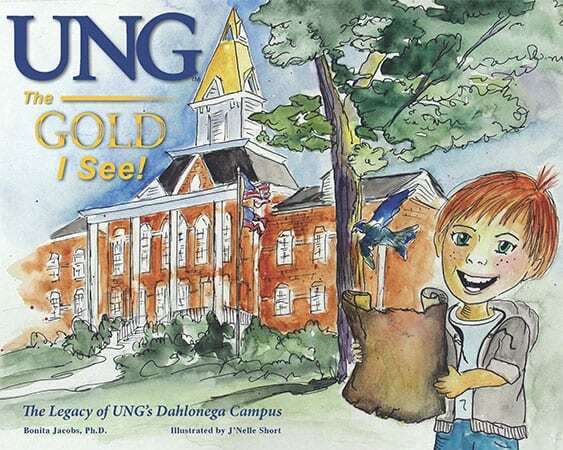 Copies of “UNG The Gold I See!” are available at the UNG Bookstore. 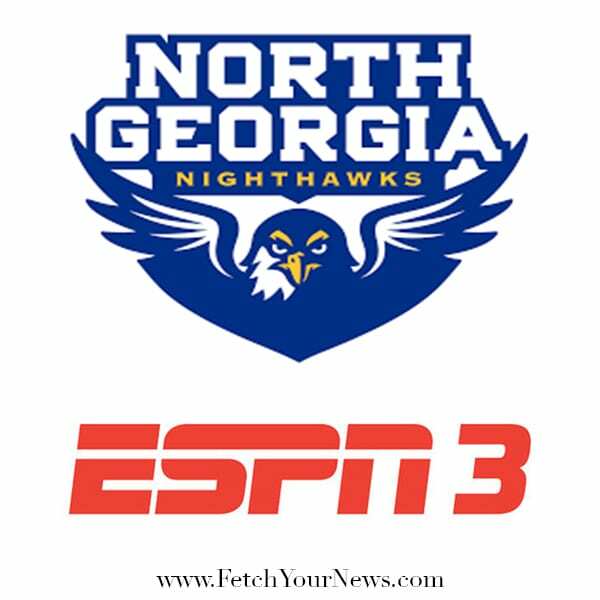 According to a press release from the University of North Georgia Athletic Department, Shawn Hopkins, guard for the UNG men’s basketball team, scored 29 points for the Nighthawks during their game against Lander Wednesday night, held at Finis Horne Arena. The Nighthawks fell in overtime, 107-104, after holding a seven-point advantage at halftime. UNG battled back, scoring the next eight points to retake the lead before LU held on to a two-point lead with just 15 seconds left in regulation. UNG took an early lead in the extra frame, but Lander stretched a lead out to six points, too far away for a late comeback attempt from UNG. 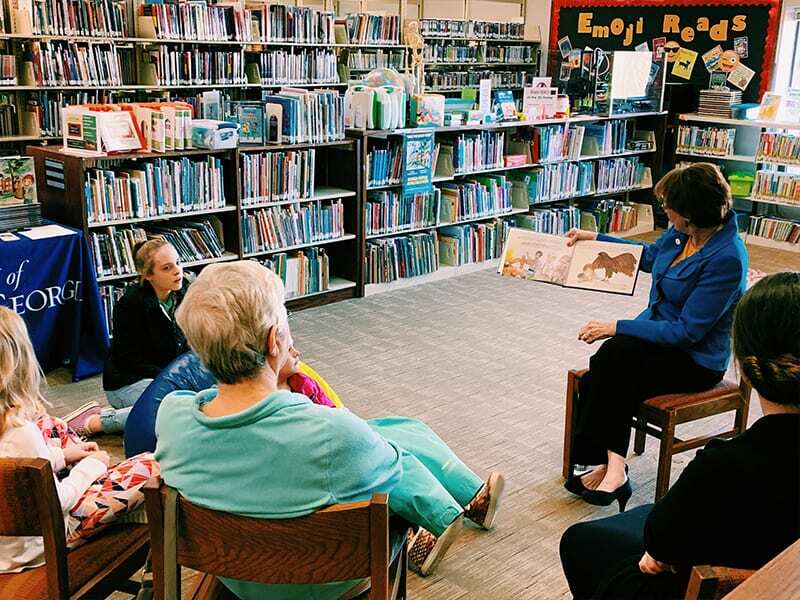 The Lumpkin County Library will host a meet-and-greet with University of North Georgia President, Dr. Bonita Jacobs, author of, “UNG The Gold I See! The Legacy of UNG’s Dahlonega Campus” on Thursday, January 31, from 4-5pm. Copies of Dr. Jacobs’ book will be available for purchase, and she will be available for book-signing. “UNG The Gold I See! 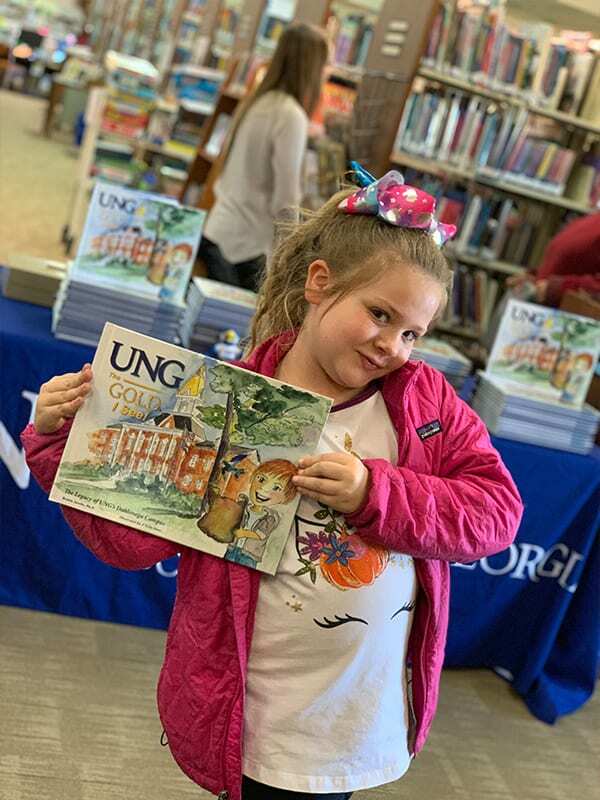 The Legacy of UNG’s Dahlonega Campus” is the first of five children’s books written by Dr. Jacobs, regarding each of the five UNG campuses. It is published by the University of North Georgia Press, and celebrates the history, heritage, and contributions by the college in Lumpkin County. 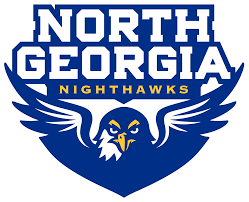 According to the University of North Georgia Athletics Department, UNG’s Tamera Thorpe scored her 1,000th career point during their game against Flagler; however, the No. 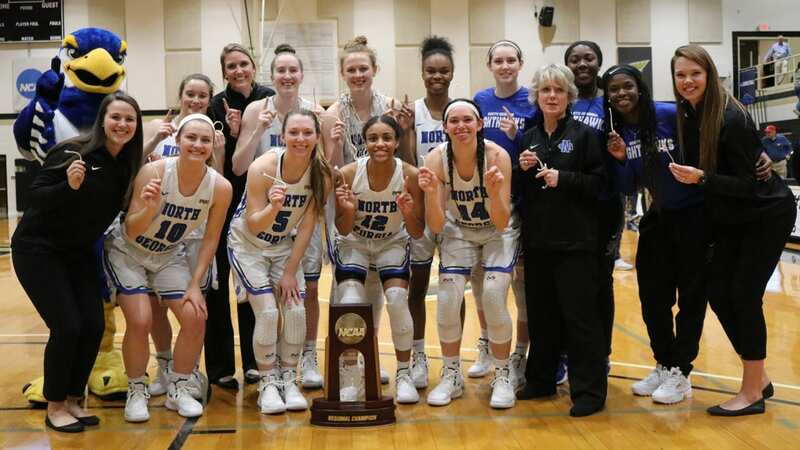 20 UNG women’s basketball team fell to their opponent in overtime, 74-70. With a jumper at the 4:15 mark in the third quarter, the senior transfer notched point No. 1,001 with her 14th point of the game to put UNG up, 43-42, at that point. From there, the two teams went back and forth before Flagler took a four-point lead with 40 seconds to play in regulation. Flagler controlled the overtime period, though, retaking the lead right away and never relinquishing it. According to the University of North Georgia Athletics Department, the No. 19 UNG rifle team took home their sixth consecutive victory at the Georgia State Championship over Georgia Southern and Georgia Military. The Nighthawks fired a 4575 aggregate score to finish 57 points clear of the second place Eagles. UNG’s Ricky Medina earned second best shooter in the event, just one point behind GS’s Rosemary Kramer for the top shooter honor. 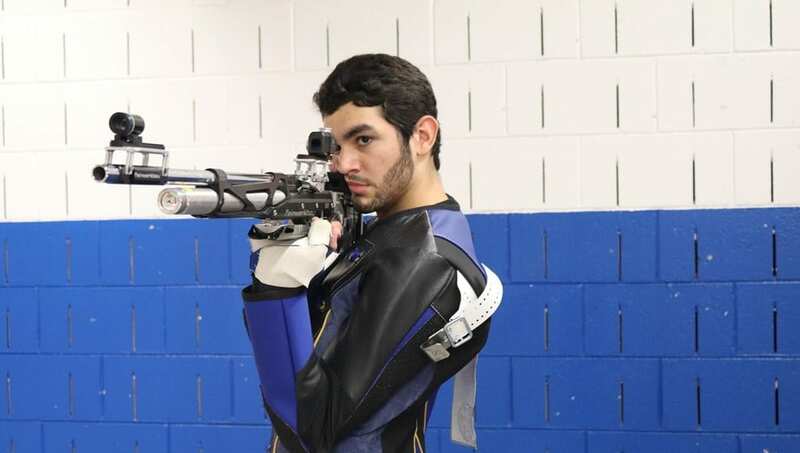 Medina was the top smallbore shooter, firing a 574 with no string going for less than 95 points. Tobin Sanctuary was third-best in the smallbore discipline, using a perfect 100 string in the prone position to earn a 571. Kimberlee Nettles finished in fourth place in the overall shooting, using a 583 in the air rifle discipline that included two 99 strings and two 98 strings. Kramer was the top shot in the air rifle discipline, firing a 595 that included two perfect 100 strings.